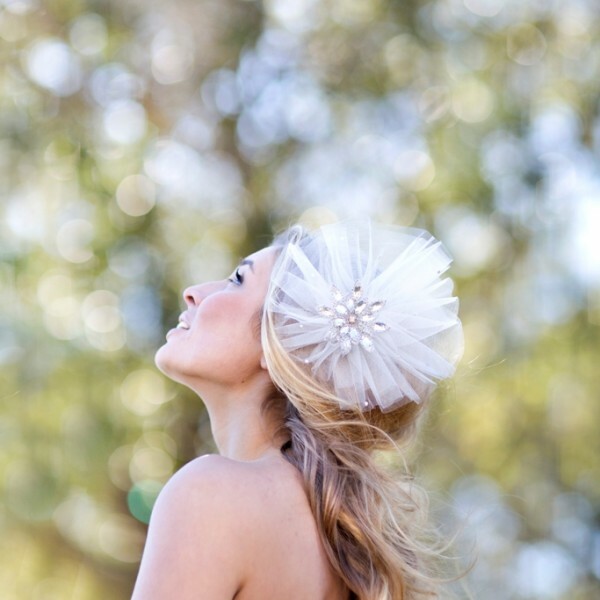 Anglo Trousseau is a fresh, romantic, and enchanting bridal veil and accessories. Their unique accessories and veils are made by the hands of experienced seamstresses. All of the collection is made in the USA using the finest materials available. Designer Vicky Anglo was born and raised in Athens, Greece surrounded by innovation and artistry. Her father is a sculptor and provided the artistic environment that so naturally led her to follow in his creative footsteps. At the age of 13, Vicky attended a Bridal Fashion Show that sparked her desire to be part of the fashion industry. With a passion for design, a love for the glamour and elegance of weddings, Vicky attended Newbury College in Boston, MA and majored in Fashion Design. For Vicky, the best part of her job is personally working with each bride to create unique, one of a kind wedding gowns and accessories with style, personality and vision. Everyone is different, we all want our personality to shine- especially on our wedding day – so through innovative design and personal collaboration, Vicky works with brides to ensure they look as great as they feel on their special day. This is her inspiration, and how Anglo Couture was born.